People suffering from chronic sinus allergies often feel they’ve reached the very end of a frayed rope. Sinus allergies can be incredibly frustrating. Especially when chronic, a stuffy nose and puffed up face may not be life threatening, but they’re definitely maddening. Worse, traditional science offers cookie-cutter Band-Aid type solutions. Kind of like taking daily aspirin because your shoes are too darn small. It may shock some readers to learn that sinus allergies, while triggered by inhaled particles like mold or pet dander, may have their roots in what we eat. Chronic sinus allergies happen when the immune system fights allergens in the sinus cavities. Immune cells called eosinophils attack the allergens but also irritate the sinus lining. This can cause a nose as locked up as a bank vault. Most sinus docs will try to treat the problem with inhaled antihistamines or steroids. Both methods weaken the body’s immune response. That’s not great because we need our immune systems to fight other baddies like colds, flu and cancer cells. Worse, there’s some evidence our “overactive” immune systems may not be doing something wrong. In fact most chronic sinus problems may stem from fungus like bread mold that sets up shop in the sinus cavities. Though the mold doesn’t actually “infect” us, its constant presence puts the immune system into Floyd Mayweather mode. That in turn can make us chronically stuffed up. Unfortunately, fungal sinusitis is hard to diagnose and even harder to treat. Inhaled steroids and antihistamines may fight the symptoms, but they don’t address the problem. Surgery can offer temporary relief but patients are often sick again a few months later. This is where the “maddening” comes in. If most people with chronic sinusitis have mold partying in their sinuses but there’s no good cure, then what the heck can we do to feel better? It turns out diet comes to the rescue yet again. Eating the right foods can fight chronic sinusitis with a one-two knockout blow by: 1) Supporting the immune system properly so it doesn’t go haywire, and: 2) cutting off the food supply to the fungus in the first place. Want to put a choke hold on your sinus allergies? Cut off their food supply with the ketogenic diet. Mold can’t live without food. So where does the mold in our sinuses get its meal plan? It turns out we’re feeding it ourselves. Excess sugar in the diet trickles down to the sinuses and gives that hidden mold a hearty lunch. According to the book Beat Sugar Addiction Now! by Jacob Teitelbaum, M.D., sinus mold needs sugar. Cutting down on sugar can cut off the supply lines, leaving mold like a deserted WWII unit trapped behind enemy lines. 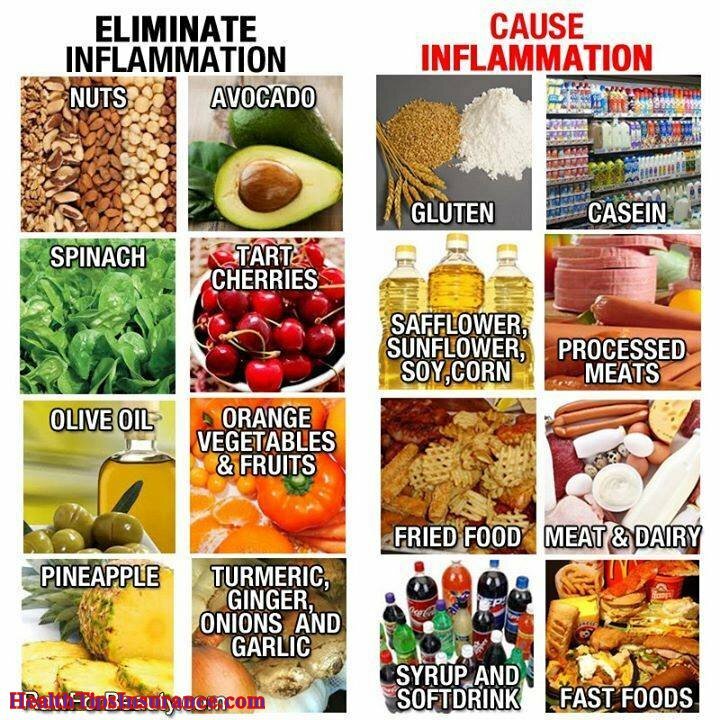 A low-sugar diet also cuts down inflammation, giving the immune system a much needed chill pill. The double whammy of less sugar for the mold to eat and less inflammation in the first place can stop chronic sinus allergies ini their tracks. Sadly, it’s not enough to cut out cakes and cookies or to stop drinking Big Gulp sodas every day. While that helps, the real solution to chronic sinusitis allergies is considerably more drastic. Eat an anti-inflammatory diet rich in all kinds of colorful, non-starchy veggies. These foods boost the immune system and don’t deliver excess sugar. Cut sugar and grains entirely. These foods feed the fungus, so chronic sinus allergy sufferers should drop them. Take a fish oil supplement. The omega-3 fats in fish oil boost immune health. A stronger immune system is less likely to freak out when it encounters mold. Avoid foods with fungal toxins. Many foods already deliver hidden mold toxins. Anyone with chronic sinus allergies should avoid those foods. Eat less sugary fruits. Fruits are healthy, but overeating them can ramp the blood sugar up to levels sinus fungus loves. Replace huge quantities of fruits with extra veggies. Fermented foods like whole apple cider vinegar, yogurt, sauerkraut and even pickles aid sinus allergies by putting the right healthy bugs back in the intestines. If eating a diet like the one above sounds impossible, take heart. For one, a low-starch diet rich in veggies and lean meats is thought to fight a host of health problems. For another, an improved diet should start to show sinus relief in just a few weeks. Anyone can change their diet for that long and if it doesn’t work, those cakes and cookies aren’t going anywhere.